Jorf Lasfar is a major port south of Casablanca and at the same time an industrial site. Among other products, phosphate is processed there, a salt needed for a variety of industrial products and sometimes compared with petroleum in its importance for humanity. Approximately 75 percent of the world’s mined phosphate is gained Morocco. The two halls are part of a chemical plant where products on the basis of phosphate, such as fertilizers, are manufactured. The longitudinal orientation of the halls is derived from the manufacturing process of the raw material. 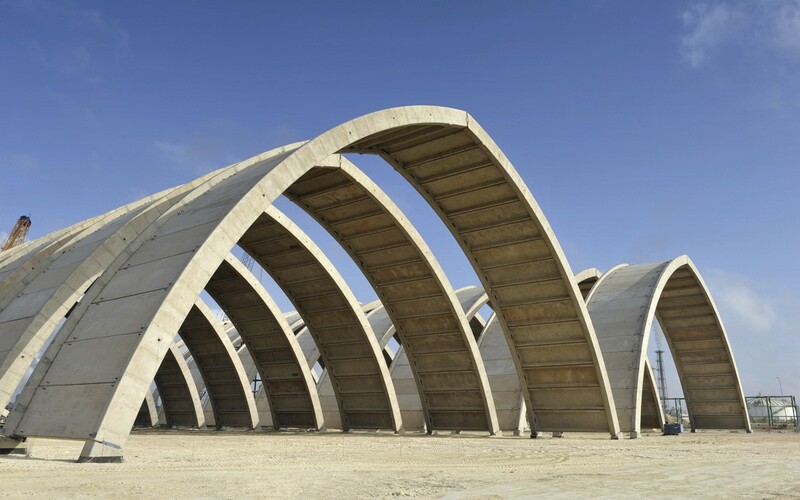 The design consists of three-hinged arches constructuted in reinforced concrete, of which two – stiffened by precast concrete slabs, which are spanned between them – form a load-bearing element. The openings between the roof elements are then to be closed afterwards. A pure in-situ construction had been previously envisaged ty the contractor. 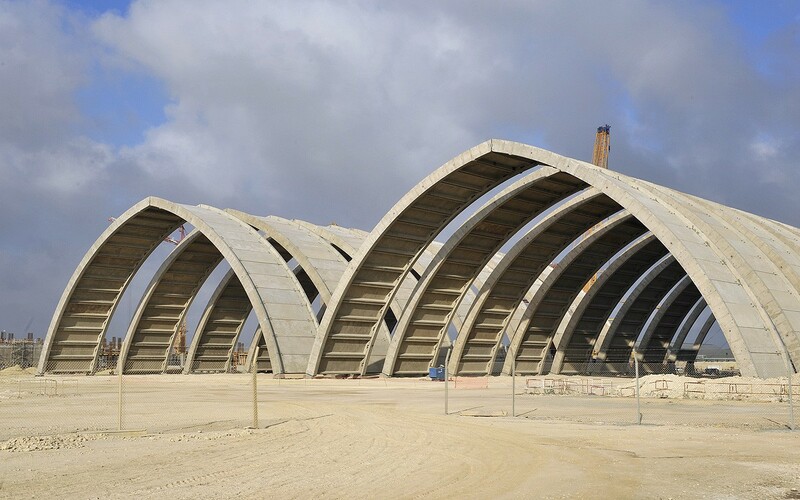 The structure composed of pre-cast elements, as proposed and developed in detail by Peter und Lochner, allowed for a reduction in construction time. 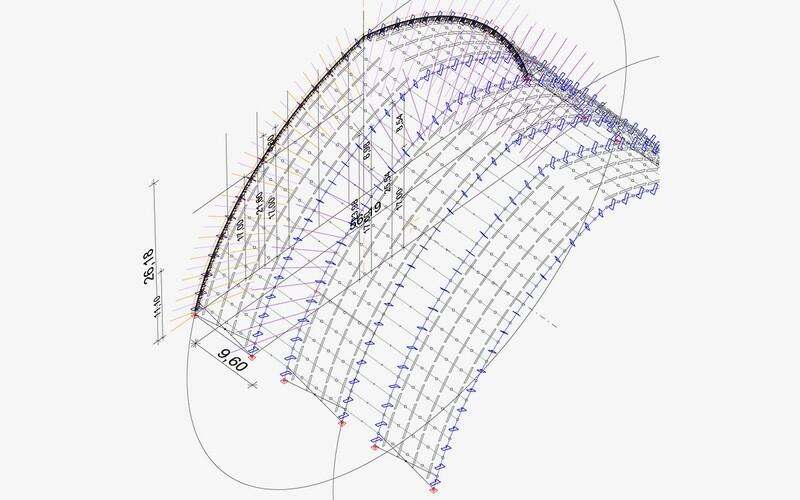 A steel structure was not considered due to the corrosive properties of phosphate.